German is one of the leading languages in the world. It is spoken beyond the border confines of the western European country. Frequently people find themselves faced with the prospect of having to handle conferences with German speakers or process documents written in the language. For non-German speakers facilitating the process makes hiring a translator imperative. Whether you are translating an entire branch’s employee manual or a marketing campaign, getting a translator online can be of immense value. Choosing the right translation services is very important to the success of the task. However, very many individuals and businesses end up on many occasions settling for a translation service that is not suited to their needs. To help you out, we have highlighted a few recommendations. 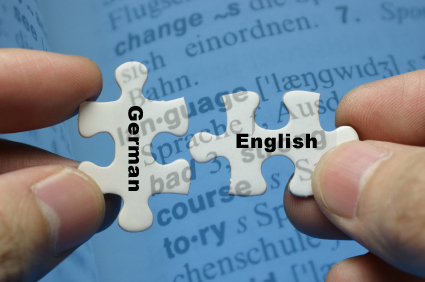 Native Germany speakers possess an in-depth knowledge of the language as compared to their bilingual counterparts. Even though it’s possible to achieve complete understanding and fluency in a second language, the best translators are native. Germany differs linguistically from one country to another and choosing a native with country-level expertise is advisable. Many companies offering translation services are becoming increasing relied on technology through the use of translation software. While some of these software might be effective, nothing beats a service built upon people. As opposed to machine translators, human translators are able to recognize the contextual meaning and translation of words with ease increasing the efficient of a translation. Start by considering the financial health translation company. This is especially important when entering into a long-term agreement. By choosing a company with good financial health, you will be safeguarding your interests and helping ensure the engagement is finalized successfully. Profitability and growth are one of the indicators of a reliable agency. Additionally, you can analyze the accreditation and auditing reports of the service provider you are looking to work with. Look to review past work done to have an idea of the quality of the work provide. It is important to choose a service company that focuses on the niche that you are in. This will enable you to access tutors who know the expectations in your field. Apart from, choosing an agency that focuses mainly on German translation will more likely than not increase the quality of the work. However, most of the leading and most reliable companies deal with multiple languages and they can offer better services than most of the single language startups. This will mainly depend on the content you require translated. Sensitive content such as financial statements and legal contracts require a level of confidentiality. Seek a company with a Non-Disclosure Agreement policy. The translators assigned to you should also commit to the agreement. The best agencies boast a fast and reliable 24/7 customer support. A good client support should support time zone adjustments to enable the handling of assignments in real time. This helps individuals and businesses save on time which is a valuable business resource.To augment client profiles, conducting interviews with potential clients can also help you gain more background information and as a result, a means to determine the best fit for your business needs.